I’ll try to get back to blogging soon! I thought I would share my last maternity outfit with you guys! 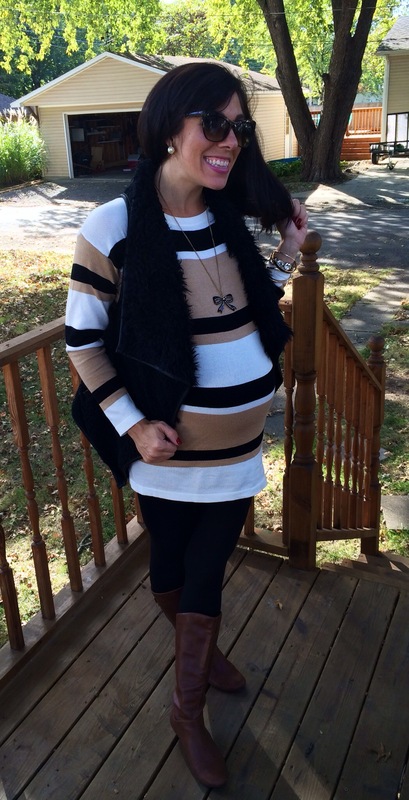 I wore this outfit last Saturday, so it was literally the last outfit I wore before I had Bennett! Vest: Forever 21(last year), want this! Boots: Target(super old), need these! Necklace: Forever 21(old), this one is cute!